I decided to start this new blog as one of the steps to my goal of opening an Etsy shop. I also want to have a little place to share ideas and things that I have made. 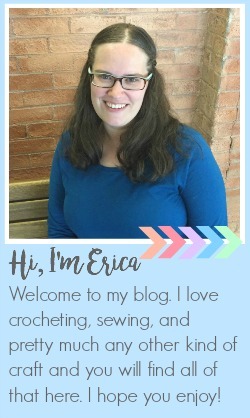 I am still in the process of trying to figure everything out but right now my vision for this blog is that it will mainly be a craft blog, a place to share things that I have made, ideas that I have, and hopefully some free patterns and tutorials. I feel like I always have so many ideas swimming around in my head and I am excited to have my own little spot on the internet to try to share some of my ideas with others as well as just to keep track of what I have made. The crafts I enjoy the most are sewing and crochet, I also occasionally dabble in knitting. I would like to knit more but I am self taught and super slow so as much as I like the look of things that are knit, I don't enjoy it as much as other mediums. I like to try different things though, so occasionally the knitting needles come out and I give them another try. I also really enjoy doing embroidery. I think that right now the things I seem to enjoy the most are things that I can do anywhere. I love sewing but sometimes it is hard to find time to sit at my sewing machine, however, I can carry a skein of yarn and a crochet hook all around the house or or just about anywhere. The biggest reason that I struggle to find time to sit and sew is also the reason behind the name I chose for my blog. I have five little monsters living in my house. They are pretty good monsters as far as monsters go and I love them to death but they definitely make for a crazy, hectic life. 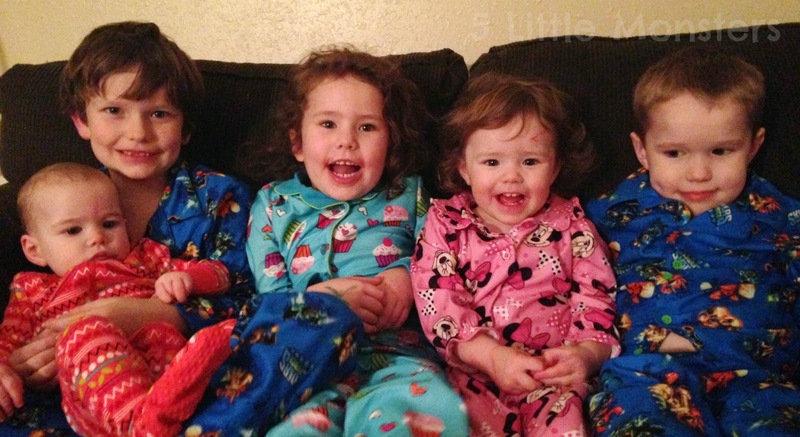 The oldest is seven and the youngest is one, two boys, three girls. I love being a mother and I love each of my kids so much. I also have a wonderful, supportive husband who puts up with having yarn and fabric and other crafty stuff strewn throughout the house. My family is my biggest inspiration for the things that I create. I have loved making things for as long as I can remember. I saw my mom making things as a young girl so it just seems like it has always been around me. My mom was the one who taught me to crochet and to sew. The first thing that I ever remember sewing was a quilt when I was 8 years old. My mom helped me but I sewed it. I was terrible at maintaining an even seam allowance, it was often much less than a 1/4 inch. As a result it fell apart pretty much as soon as we washed it, but it introduced me to a way to express my creativity that has become a very important part of my life. I love making thing because I love being able to take something that isn't really anything, a skein of yarn, a flat piece of fabric, and turn it into something pretty and useful, something that someone can use and enjoy. It is my outlet when life is overwhelming. Sometimes with little kids it seems like nothing I do lasts, there are alway more dishes, laundry, toys to pick up, being able to sit down and create something that will last is much more than just a hobby to me. Sometimes it is what keeps me sane. Welcome to my blog, I hope you enjoy what you find here.